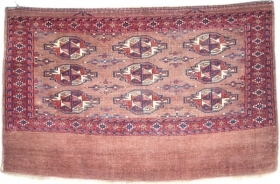 Yomut Tauk Nuska Gol Main carpet. 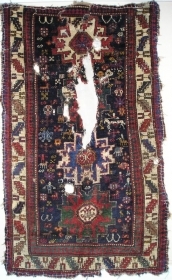 Old but damaged. 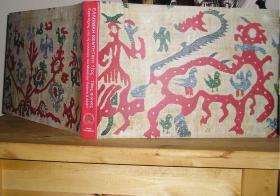 Very nicely drawn minors. 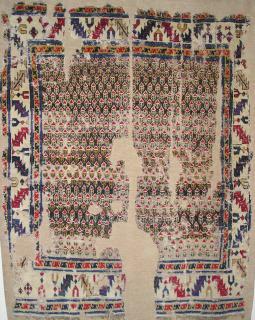 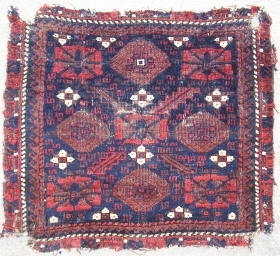 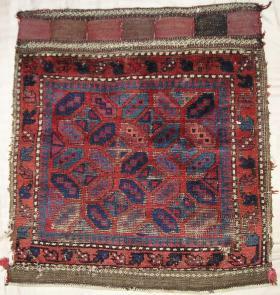 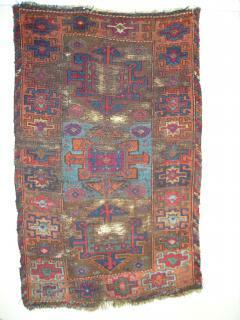 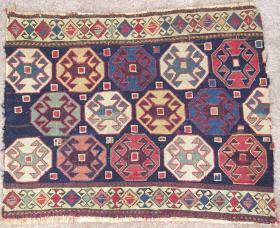 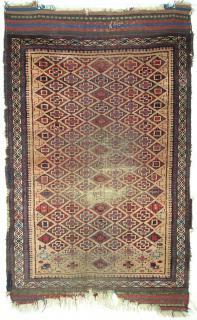 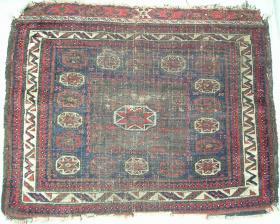 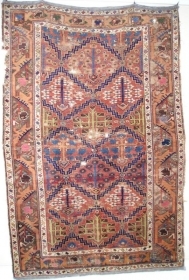 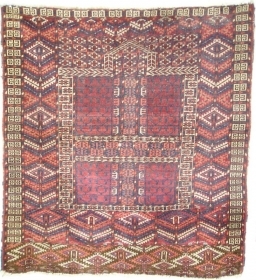 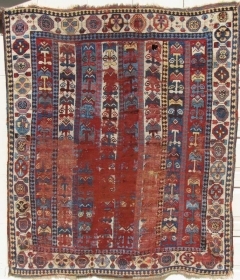 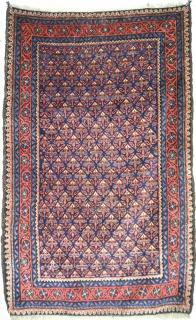 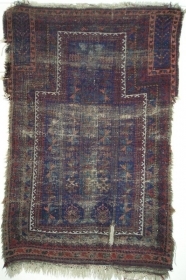 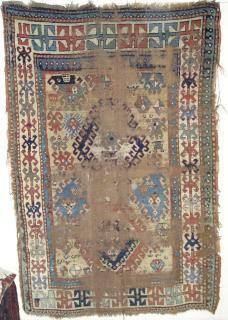 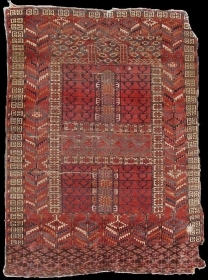 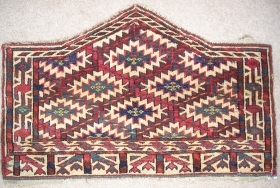 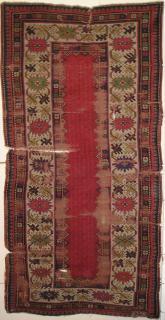 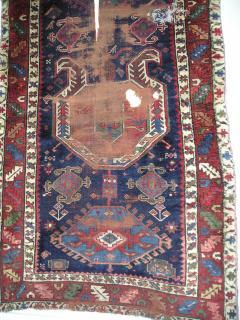 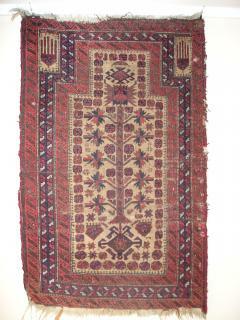 fragmented Tekke Turkmen Ensi with silk highlights (and one knot of cotton)Very soft handle. 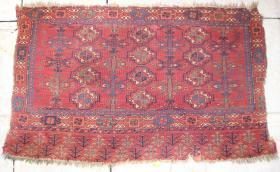 Nice older nw Persian Karadag, unfortunate victim of vivasection but with very nice drawing, saturated color and quality wool. 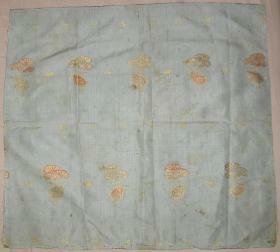 small North Indian tempura painting on textile with lotuses and fish. 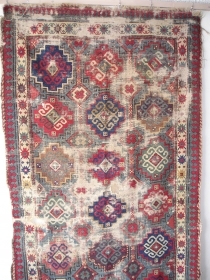 Perhaps Kotah? 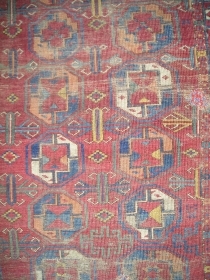 circa 18th century? 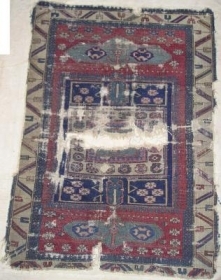 Late Safavid silk textile fragment with boteh and chrsanthamum on a blue ground. 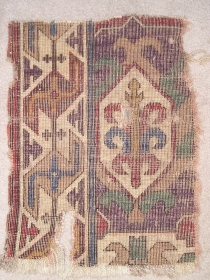 (detail is of the back). 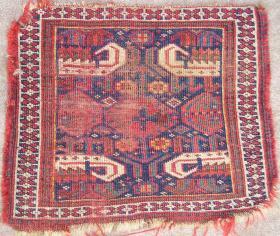 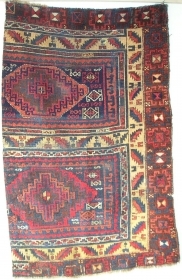 East Anatolian Kurdish rug with a nice color range including both insect and vegetable reds. 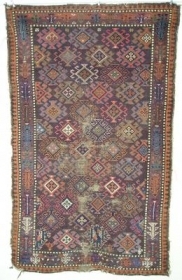 Turkmen Chuval. 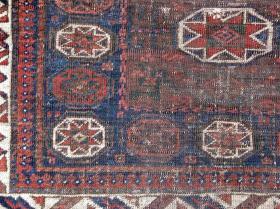 Middle Amu Darya ( Oxus River ) area. 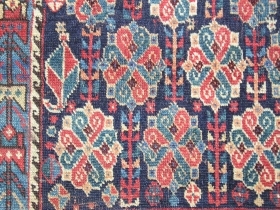 Very nice colors, blue and green. 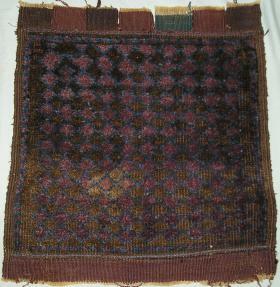 Damaged on the sides. 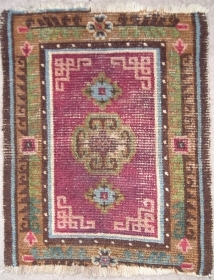 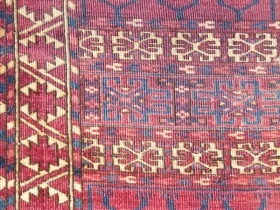 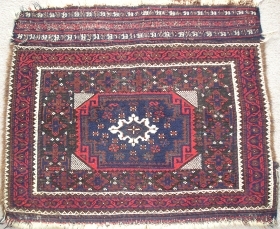 Super-Soft small Arab Baluch rug. 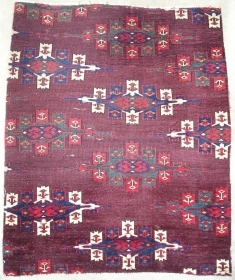 All colors are natural and beautiful. 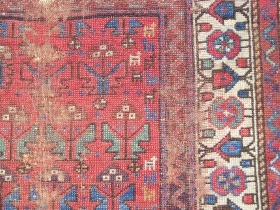 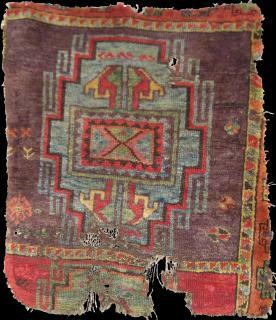 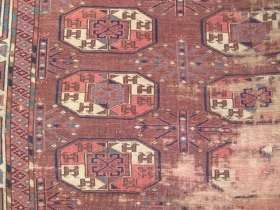 Fantastic Fragment of an 18th century East Anatolian rug with superior colors including purple. 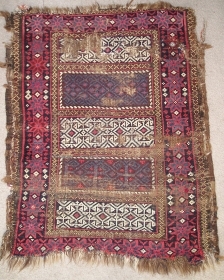 Kurdish ( Saj Bulaq? ) 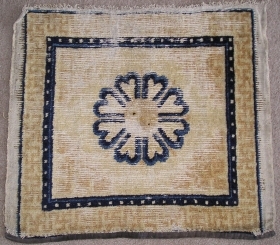 shrub rug with oscillating lattices radiating from rosettes framing 5 varieties of flowering plants stemming from pots. 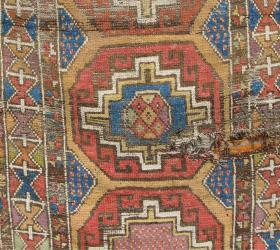 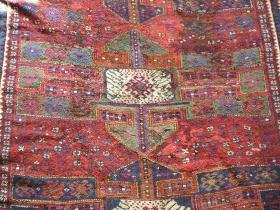 the same Baluch square middle bag that i posted earlier with better less washed-out images.